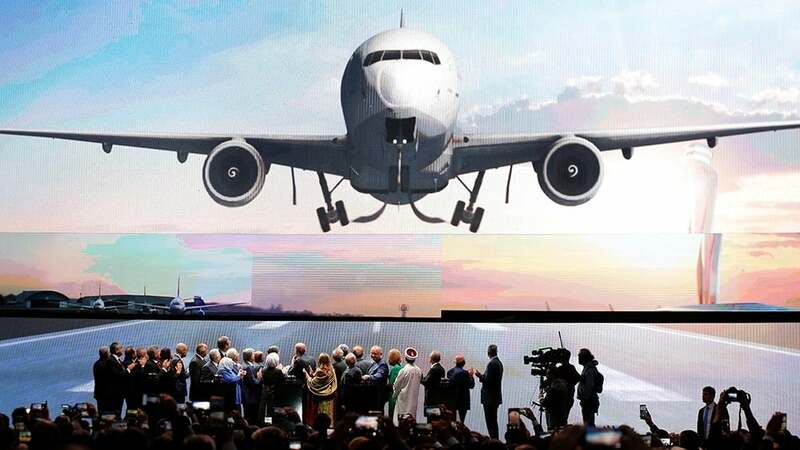 Iranian Foreign Minister Mohammad Javad Zarif, on behalf of the Iranian government, attended a ceremony held on Monday to open Istanbul’s new international airport. The ceremony, hosted by Turkish President Recep Tayyip Erdogan, was attended by a number of presidents, foreign ministers, and other high-ranking officials from several countries of the world. The massive new airport project is expected to become one of the world’s largest once complete in 2028. More than 50 foreign dignitaries from at least 18 countries attended the lavish opening ceremony of the first phase of the new facility, called Istanbul Airport, local media reported. “We see Istanbul Airport as investment not only in our country but also in our region and the world,” Erdogan said at the ceremony which coincided with the 95th anniversary of the Turkish Republic. It is expected that a daily 2,000 aircraft from more than 250 carriers will go through the airport by the end of 2018 to over 350 destinations, said Anadolu. Constructed at an initial cost of $7.2 billion, the new facility is expected to provide more than $30.65b in revenue for the government and host 90 million passengers by the end of the 2018 and up to 200 million upon completion in 2028. According to preliminary 2017 figures from the Airport Council International, Atlanta airport in the United States hosted almost 104 million passengers last year. Next came Beijing with 95.7 million passengers, Dubai with 88.2 million, Tokyo with 85.4 million and Los Angeles with 84.5 million. Among other officials present at the inauguration ceremony were Qatar’s Emir Sheikh Tamim bin Hamad Al Thani, Sudanese President Omar al-Bashir and leaders from Pakistan, Kyrgyzstan, Kosovo, Macedonia, Moldova, Albania and Serbia.